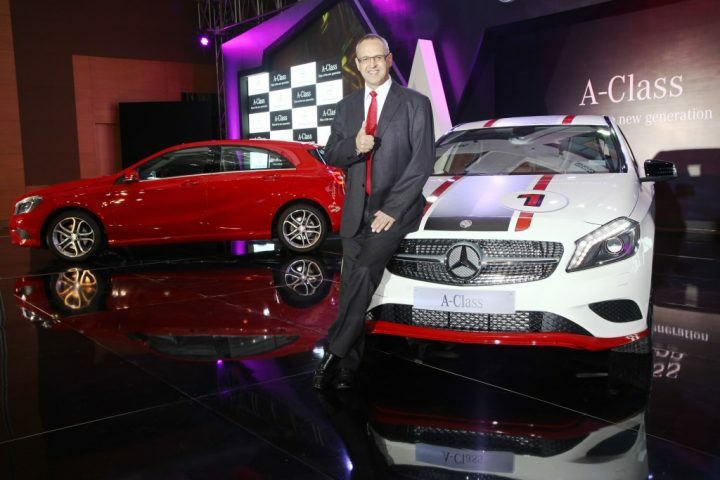 Mercedes-Benz has launched it’s first hatchback, the A-Class, in India. As we reported before, it is being offered in two variants, The A 180 Sport (petrol) and the A 180 CDI Style (diesel). Both the variants are being offered with a dual-clutch seven-speed automatic transmission along with paddle shifters. 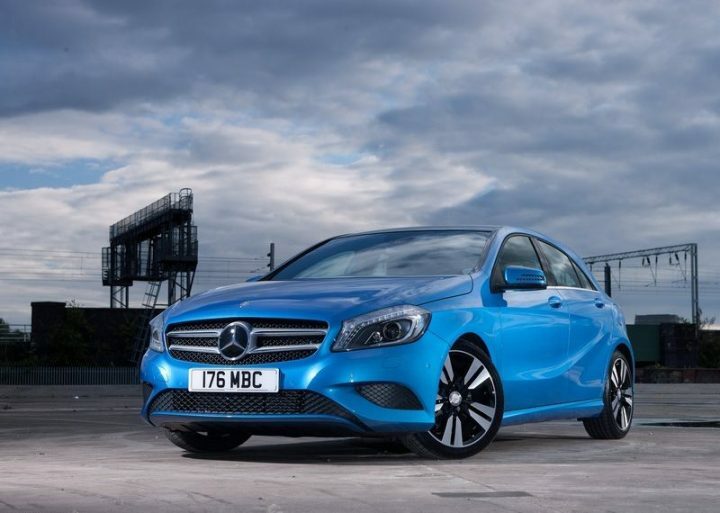 Mercedes claims that they have received 90,000 bookings for the A-Class already. 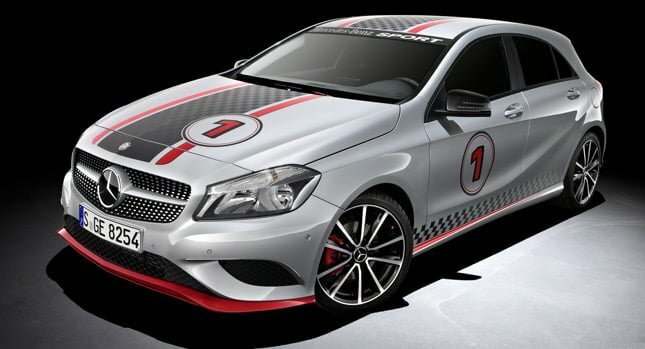 To make the car more popular, the A-Class will have many individualisation options, including wheels, spoilers (front and back), body decals among others. “With the new A-Class Mercedes-Benz now pioneers the Compact Luxury segment in India which reflects the changing customer trend of compact being equated to cool and trendy. We are confident that the dynamic design and class leading performance is sure to make the A-Class the choice of the new generation.” said Mr. Eberhard Kern, Managing Director & CEO, Mercedes-Benz India. The A-Class is hatchback, but it is a big one at that. The car 4,292mm long, 1,780mm wide and 1,433mm tall, these figures imply that the car is pretty spacious inside and will not be invisible to others on the road. Talking about visibility, there is very little chance that anyone would miss the car when they see it on the road. The A-Class won the red dot award for design in 2013, it looks sporty and aggressive which Mercedes hopes will attract young buyers towards it. The A-Class is a looker, with it’s sculpted body, angry headlights, huge grill (which has 302 diamond resembling pins inserted into it!) with a prominent three pointed star which makes it impossible for you to not stare at it in amazement. It gets twin five-spoke 17 inch wheels as standard which enhance the sporty loos of the car. There is sad news though, the A-Class will not be offered in the blue colour they advertised the car in! Paint options limited to Red, Silver and White for now. Hope they bring new paint options soon. On the inside, the car is as stylish as it is on the outside. The car comes equipped with what Mercedes call the ‘Audio 20 CD’ system. This includes a huge 14.7 cm screen based infotainment system above the centre console. The integrated CD/USB/Aux/Bluetooth system can play MP3, WMA or AAC files from varied sources, and can be controlled via buttons on the steering wheel. It is doubles up as a hand-free drive system in case you want to place or take calls while you drive, by syncing up with you bluetooth enabled mobile phone. Six speakers around the car deliver a surround sound environment inside the car. The seats in the A-Class are available in two variants: ARTICO Larochette (for the A180 CDI Style) and ARTICO Messanc (for the A180 Sport) and provide good comfort, safety and are ergonomically sound. These seats come with 4-way adjustable lumbar support for the driver and front passenger and also memory function for the driver. A seat comfort package increases the way the driver and front driver seats can be adjusted for more comfort. A panoramic sunroof as standard on the A 180 Sport, which can be electrically operated. This sunroof lightens up the interiors of the car, when the sun gets unbearable an electronically operated blind keeps things from getting too hot. It’s performance matches it’s styling. The A180 Sport gets a turbocharged 1.6 litre, four-cylinder which churns out 121 BHP of power and 200 Nm of torque, helping it go from a standstill to 100 KMPH in 9.76 seconds and onto a top speed of 202 KMPH. The Petrol engine has an efficiency 15.5 KMPL. The A180 CDI Style is powered by a 2.2 litre turbocharged diesel motor which produces 107 BHP of power and 260 Nm of torque, good enough for a top speed of 190 KMPH and has a fuel efficiency of around 20.06 KMPL. 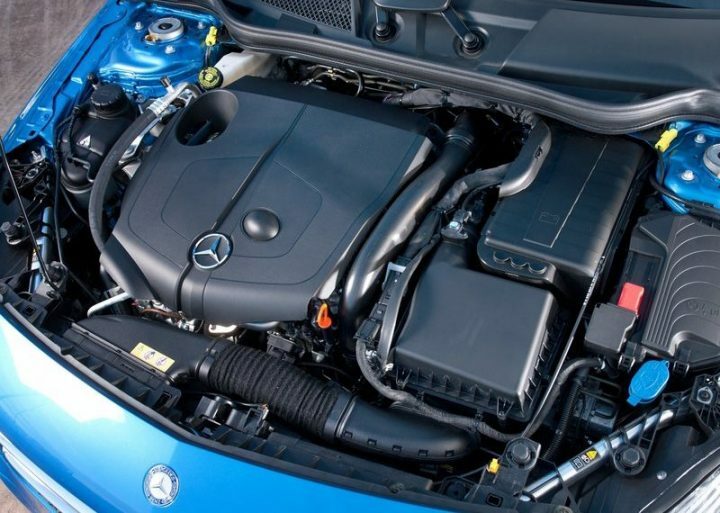 Mercedes Benz claims that the diesel powered A-Class can go almost 1000 km on a single tank of fuel. Power in both cars are transferred to the front tyres via a seven-speed dual-clutch transmission which promises fast shift times and higher fuel efficiency too. Three modes are offered, ‘Economy’, ‘Sport’ and ‘Manual’ which can be selected from the centre console. As the names suggest in the ‘economy’ mode the gears move up faster keeping the engine revs low, in the ‘sport’ mode the gear shifts keep the engine on boil for maximum performance, the ‘manual’ mode (we’re most interested in this one) gives the driver the ability to shift gears via the paddle shifts behind the steering wheel. For better efficiency, the car comes with Mercedes’s ECO Start/Stop function, which it claims will save upto 9% fuel. A low drag co-efficiency of 0.27 cd also helps the car achieve very high fuel efficiency figures. assistance system which helps the driver to steer safely during hard driving or in emergency situations. The steering is an electrically assisted one, but Mercedes claims that does give enough feedback to the driver for an enjoyable drive. Mercedes will offer a lot of customisation offers on the A-Class to attract those buyers who are not happy with a standard car. For example, for those who require more luggage space, Mercedes will offer a 400 litre roof box which can take up to a load of 75 kg. For those who want to make their car more sporty, the car can be customised with a roof spoiler, or racy decals, or custom wheels among others. The smallest and most affordable car from it’s stable, the luxury hatchback is Mercedes’s way of targeting younger luxury car buyers looking to buy their first car, or those who want to compliment their bigger car with a daily run around. Mercedes-Benz has got a headway into this segment now, BMW will be close on its heels with the launch of the 1-Series soon, but till then expect Mercedes to have gained a huge margin.